Picture siteVisual China(Quotes000681,Medical stock), the trouble of the panoramic network is not over yet! Li Xinshi, a senior partner of Zhongye Jiangchuan Law Firm, told the reporter of “Daily Economic News” that those companies that have compensated for visual China or the panoramic network will review the true attribution of the copyright of the subject matter of the litigation and collective counterclaims. The business model will be unsustainable. Another legal veteran believes that if the photo website asks the user for remuneration using images that he has not obtained copyright or is not authorized, the photo owner will know that the non-right holder of the company has the right to recover the remuneration after paying. The fees already paid can be recovered through litigation or negotiation. Lawyer Li said that if the image user downloads according to the tips or requests of the image website, but then finds that the website does not own the copyright to the pictures, the user can sue the picture website. The paying user of the picture needs to prove in the process of litigation that the website involved does not enjoy the relevant intellectual property rights of the pictures involved. Taking the black hole photo as an example, the original copyright owner, the Southern European Observatory (ESO), posted the photo on the Internet, stating that the copyright applies to the CC4.0 agreement, that is, the user can copy and distribute the black hole photo under the condition that the source is indicated. , deductive, download and use. In this case, users who purchase pictures through the website are more likely to receive compensation. However, Li believes that the biggest obstacle in such litigation is to determine the evidence that Visual China does not enjoy copyright for a particular picture, but if the real rights holder of the picture is to defend his rights, the chances of success will increase. Then, if those companies that have been sued and compensated by Visual China have reviewed the true attribution of the copyright of the subject matter of the lawsuit, and what is the impact of the collective counterclaim on China? Li said that in the lawsuit, the court will take the initiative to examine the identity of the rights holders in China. However, in the case of reconciliation between the two parties after the prosecution and before the trial, the application for reconsideration of the settlement agreement or the civil mediation of the people's court may be applied for retrial. If this situation is concentrated or large-scale, it will be difficult for Visual China to continue the existing business model, and it is likely to suffer the collective rights of the real rights holders. Rights-based marketing brings a big increase in revenue, but the cost increases and causes huge losses. Vision China Third Quarter of 2018Financial reportIt shows that Visual China's revenue and net profit in the first nine months of last year have maintained double-digit rapid growth, achieving operating income of 701 million yuan, an increase of 20.97% over the same period.Listed companyThe net profit of shareholders reached 220 million yuan, a year-on-year increase of 35.31%. The core business of the company's revenue of more than 80%: "visual content and services" operating income of 574 million yuan. Every reporter has consulted Visual China.financial reportLater, I found that the company rarely mentioned the words "litigation" or "defense rights", but really made the rights of rights into a business, and brought the word "defense rights marketing" into the public eye, but another picture Website: Panorama Network (NEEQ: 834877). The company has repeatedly listed the rights advantage as the core of the company.Competitive advantages"The company has established a legal department to conduct litigation against companies that seriously infringe upon the company's legitimate interests. Based on the company's advantages in safeguarding rights, on the one hand, it can effectively avoid losses suffered by the company due to copyright infringement, and convert some infringing users into Corporate customers; on the other hand, they can attract more suppliers to cooperate with the company by better protecting the interests of copyright owners." From the performance of Panorama Network in 2017, although rights-based marketing can bring certain income growth to the company, it is accompanied by an increase in related research and development costs and labor costs. In fact, the model of rights-based marketing Did not contribute much to the company. In 2017, Panorama Network newly established a legal rights protection team and expanded its rights-based marketing model. The image copyright and image rights revenue increased by 21.405 million yuan through image copyright tracking. However, the company turned profitable in that year. 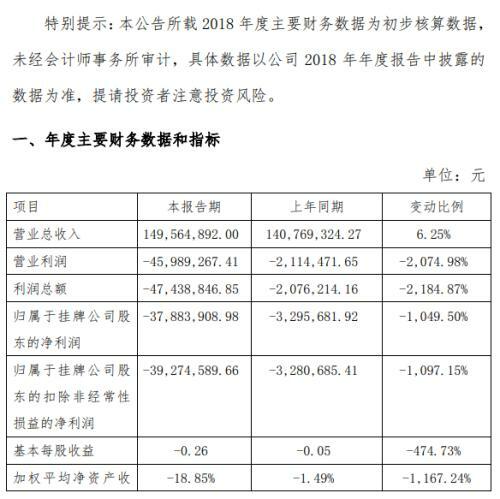 Loss, net loss of 3,295,700 yuan, down 162.94% year-on-year, the company said that the reason for the loss is to form a new team for the development of rights-based marketing, an increase of 62 people over the previous year, personnel costs, office housing rental costs lead to total operating costs Increase by 6.09%. In addition, the research and development expenses of the panoramic network in 2017 also increased rapidly, and the total cost of research and development expenditure was 18.4233 million yuan. In 2017, the company independently developed, added new rights management platform, cloud photo album service platform and other 6 new research and development. project. The reporter also noticed that due to the development of rights-based marketing and the increase in demand for technology and personnel investment, the company’s credit guarantees wereChina Merchants Bank(Quotes600036,Medical stock) Beijing branch,HSBC Bank(Quotes600015,Medical stockBeijing Weigongcun Branch,Bank of Beijing(Quotes601169,Medical stock)Zhongguancun(Quotes000931,Medical stockBanks such as sub-branches applied for a one-year short-term loan. As of the end of 2017, the total amount of unreturned amount reached 1.87 million. By 2018, the loss of the panoramic network was further aggravated. The net loss for the whole year was 37.88 million, a decrease of 1049.5% compared with the same period of last year. One of the main reasons for the panoramic network to explain the performance loss is that the company has greatly enhanced its rights-based marketing capabilities through its self-developed search platform. At the same time, the company increased its investment in marketing team, office and marketing expenses. The reporter found in the sky-eye search that there were as many as 1910 announcements in the panoramic network, and the legal proceedings reached 3,926. The majority of the lawsuits were “infringement of the disputes over the information network communication rights”, and the reporters sorted out these cases. It was found that the panoramic network had both small startups and large companies such as Amendment Pharmaceuticals and Haier. Looking at the judgments of these cases, most of them ended with the withdrawal of the panoramic network as the plaintiff. 03-19comment0The squadron is being chased by 80 million compensation suits. 02-24comment0Zhao Wei appealed after falling into the altar. I want to dismiss all the claims of investors. 01-25comment0The housing area is seriously "shrinking". How can consumers defend their rights?